If you would have stepped foot in the Who What Wear office a year ago, you would have seen our editors wearing every style of cropped jeans. And years before, skinny jeans were the fit of choice for everyone in the fashion world. Recently though, these two styles are “slowly dying”. This isn’t a surprise, as skinny jeans have been on the decline as newer loose fits have become more popular. Cropped jeans were more recently popular, though, and we’ll attribute their downturn in popularity as a reaction to the amount they were hyped in the seasons before. Everyone is ready for something fresh and new. Denim is taking a decidedly different turn for the season ahead. The fits, looser. The colors, more fun. And the runway trends? They’re being taken pretty literally. Western was one of the biggest trends spotted on the runways and that’s being interpreted in the world of denim with raw, top-stitched styles. But also, nods to the ‘80s with super-oversized denim jackets, stone-washed finishes, and ornamental details. Ahead, we’re breaking down the biggest denim trends straight from the fall 2018 runways. 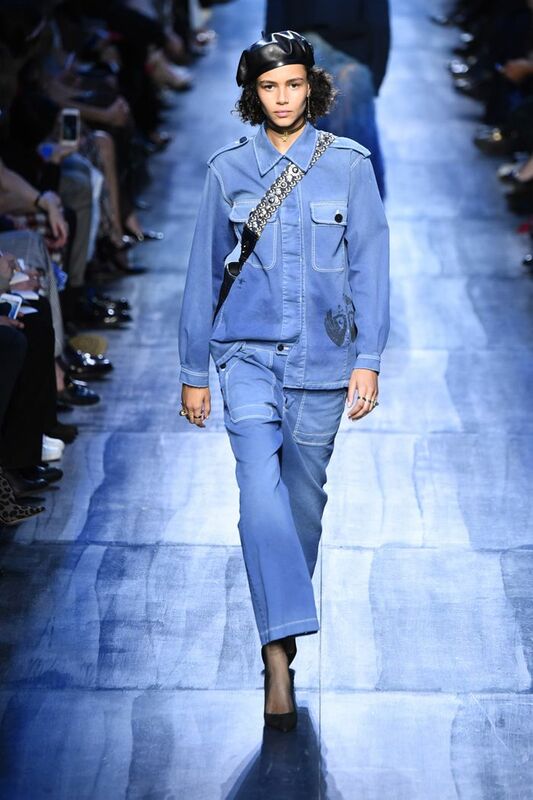 This past year, the pantsuit swept the fashion world fall offers a more relaxed alternative with matching denim-on-denim looks. This season, swap out your standard blue jeans from colored styles instead. 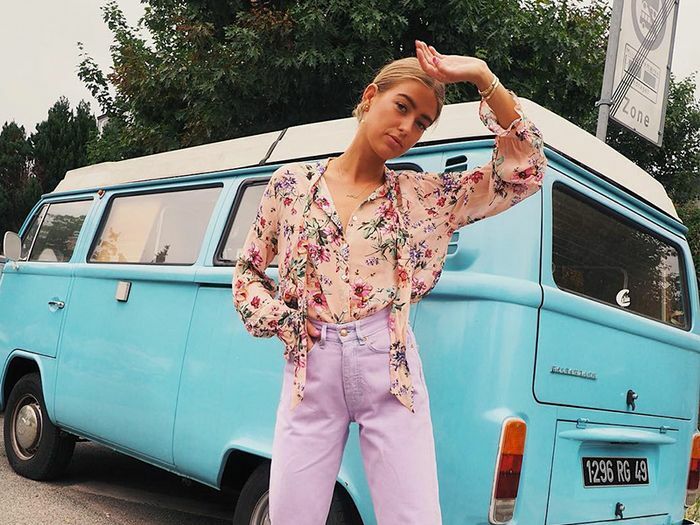 While we can trace the trend back to designers like Ganni whose alternative denim colors hit Net-a-Porter last spring, it's showing no signs of slowing down. This season, designers made a strong case for all things cowboy—denim with western details, included. This fall, animal prints are showing up everywhere—even in denim. Leopard-printed jeans seem like a pretty great way to start test-driving the trend. If you haven't heard, the '80s are back. In the world of denim, that means acid-washed jeans and bold prints. Next: 96 outfits for when you’re bored with your clothes.